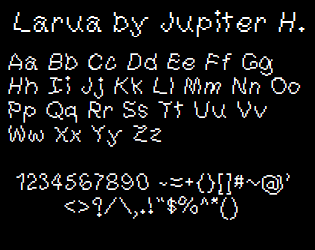 This font was created by Jupiter Hadley. Please consider supporting me on Patreon, or a one-time donation here if you appreciate my fonts! Special thanks to Eeve Somepx for inspiring me to do this! 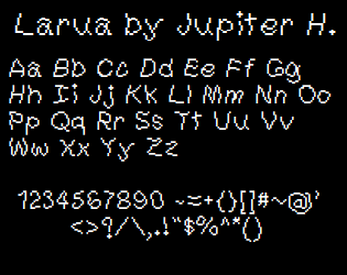 He has some awesome fonts too!